Andrew is the Liaison/Marketing Manager with the Department of Culture- Uganda Peoples Defence Forces. 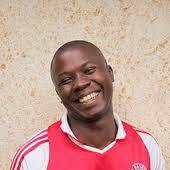 Andrew holds a Bachelors Degree in Drama of Makerere University and a Certificate in Acting from The Centre of Performing Arts, Jinja. Andrew also works with Kika Dance Company. He has also worked with Bakayimbira Dramaactors as actor and stage manager for 15 years. He worked for Rock Point and Mental Health Uganda. He is also trained in Visual arts, Acting, make up, set design, Prod design, writing for film and camera work. He has acted in a number of plays notably Silent Voices at the National Theatre Kampala, Uganda.